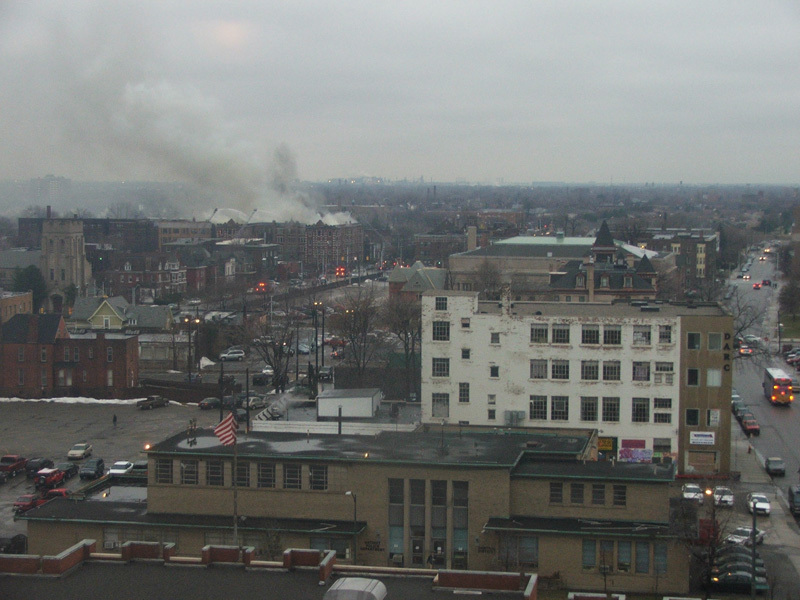 I woke up this morning and looked out my window to find a huge blaze coming from what look like New Center and it was all over the news. Anyone else see/hear of this?? 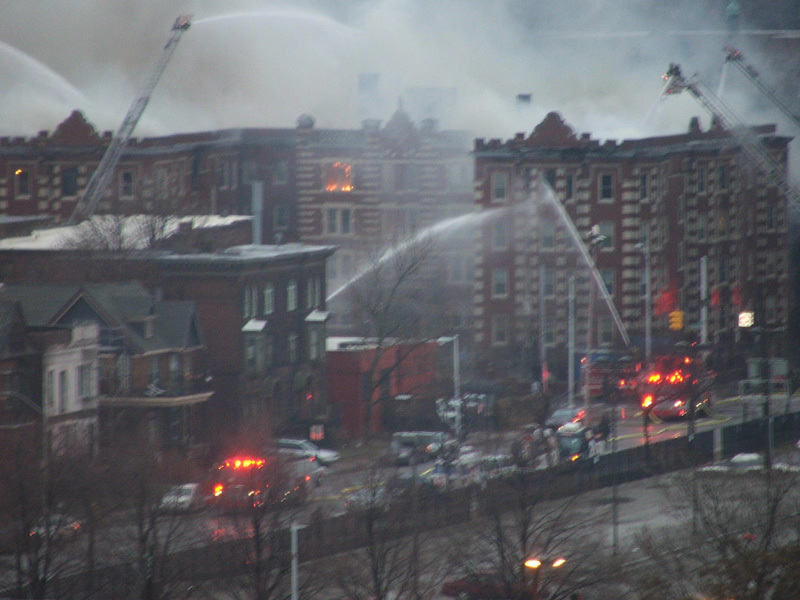 The huge fire was the Forest Arms Apartments at Second & Forest. 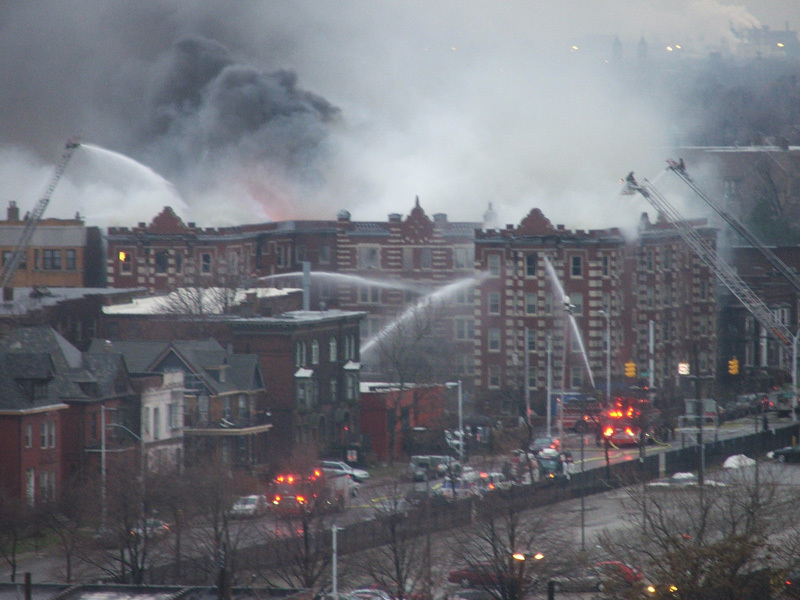 It was a 5 alarm fire, the building is a total loss and 100+ people are homeless. Arson is suspected. My friend called me when he heard about the fire this morning, but it was pretty much under control by the time I got there. It should be out completely by this afternoon. 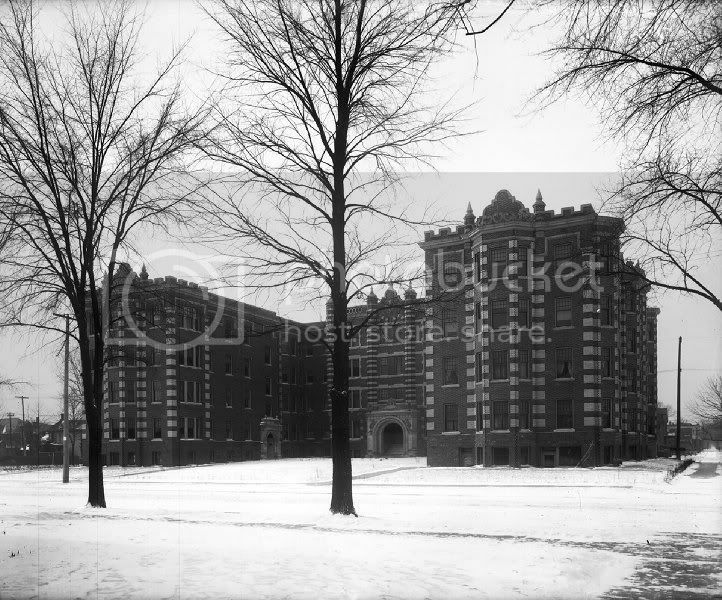 It was an old building too, does anyone have a photo of it before th fire? Wow... that is an impressive building. Its a shame its a total loss! It's a tragedy, and I don't like how people have mentioned in the media that it is a total loss. How does one determine that this early on? I understand it will probably take someone w/ deep pockets, but at least from the outside, it appears it is salvageable. 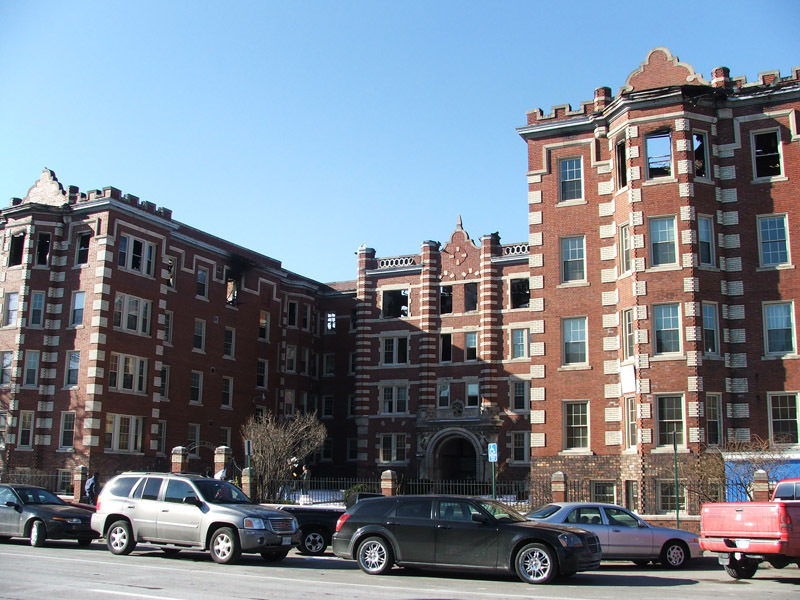 Anyone know if the building is protected on the Historic Registry? I live just down the street from Forest Arms and though the sirens woke me up, I didn't think anything of it...sirens through out the night are more than common. My apt has a perfect view of the whole scene, of which I got pictures, and will post in the next couple of days. Truely a sad event. I feel fortunate though, because I looked into leasing there and it was my second option aside from where I'm at now. I don't think a determination of whether it can be saved can be made just yet. When my friend called me early this morning he called it a "total loss." The media says the same thing. However, after visiting the scene, it doesn't look totally unsalvageable. The apartment building at the end of my street (the Galston at Cicotte & Michigan) literally exploded one morning. 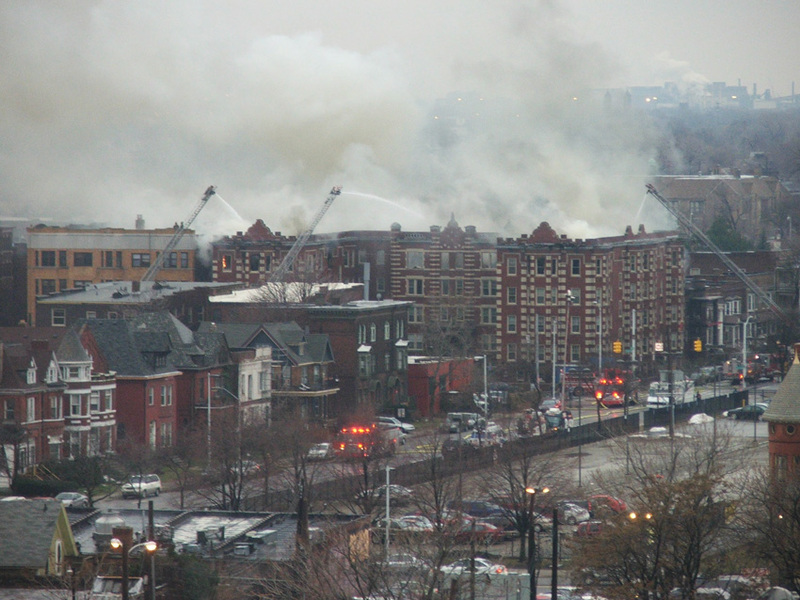 You could look clear up from the street, through the second, third, and fourth floors, right to the sky after the fire. They rebuilt that building, and I don't see how this is any different...just a larger scale. 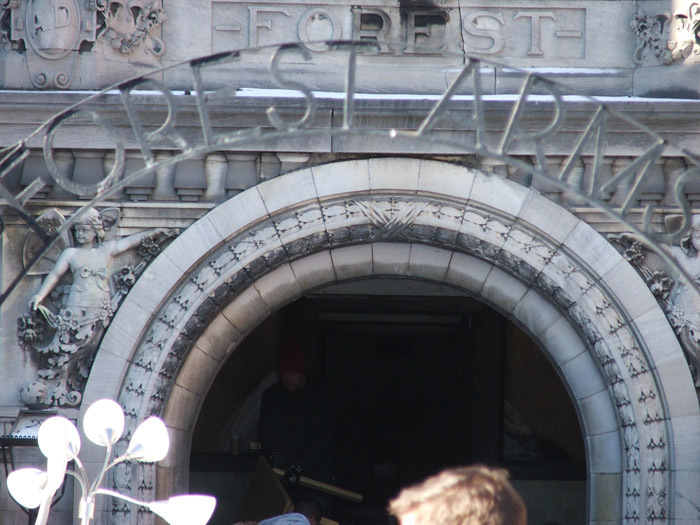 The Forest Arms' fire damage appears to be isolated on the third and fourth floors. The rest of the building is severely smoke and water damaged, but still standing for the time being. I would not expect any of the occupants to be able to salvage much of anything, but I do think that it can be reconstructed. It will all come down to how much money the owner gets from his insurance company, and how much will he has to rebuild. I think we'll just have to wait and see what happens. I really hate it when this happens. 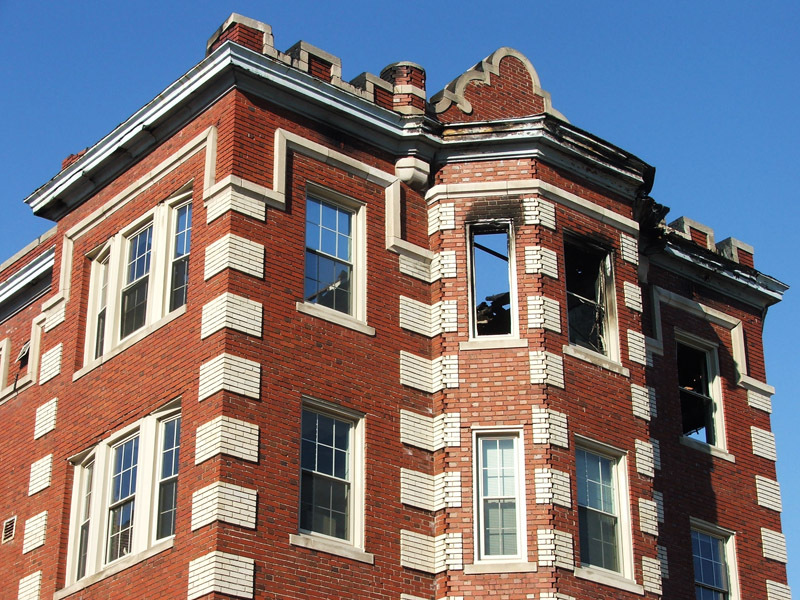 Fire, demolition, whatever, Detroit cannot keep losing its significant building stock. It's simply unacceptable.... yes for fires to happen. pft, I was expecting a half collapsed burnt out shell. That can definitely be fixed. I'm sure it needed to be renovated anyway. Hopefully they get good insurance money. 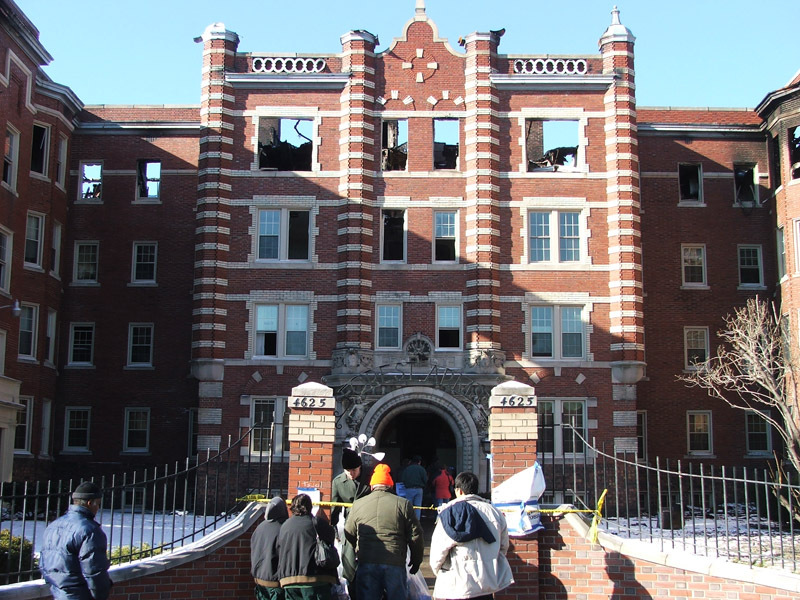 Also, many of the tenants were probably college students, so hopefully the personal damage was less than it would have been if it was all families living in there. It's a big problem for college students though. I'm really surprised the blank stare I get from people when I ask if their computers or other valuables are covered by insurance. I mean if I ever get my computer stolen, or damaged in a fire or flood, it's really not a big deal. But a lot of college students don't get renter's insurance, or even have their stuff covered under their parents home owner's. I imagine total losses for many people. More of it due to water and smoke damage. What is it with the world and their connections to this building. At work, some of my friends, a few classmates...all know somebody who has lived here once. 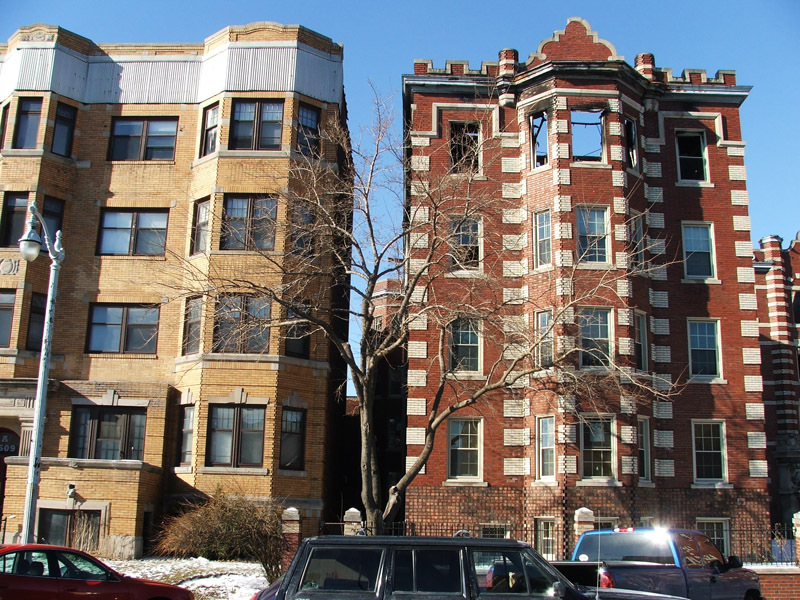 This building is a legend, and a lot of people find news of this fire devastating. It's just another reason beyond the architecture to repair this structure. 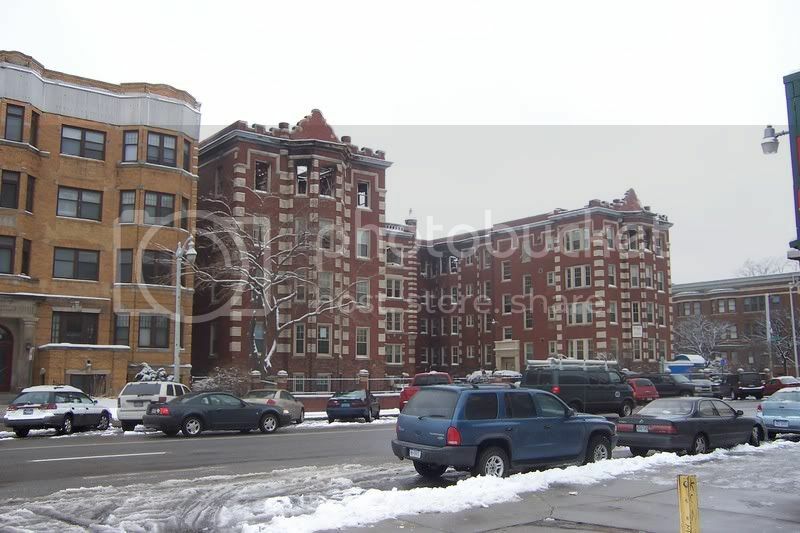 Buildings in Brush Park that were more war torn than this were salvaged. 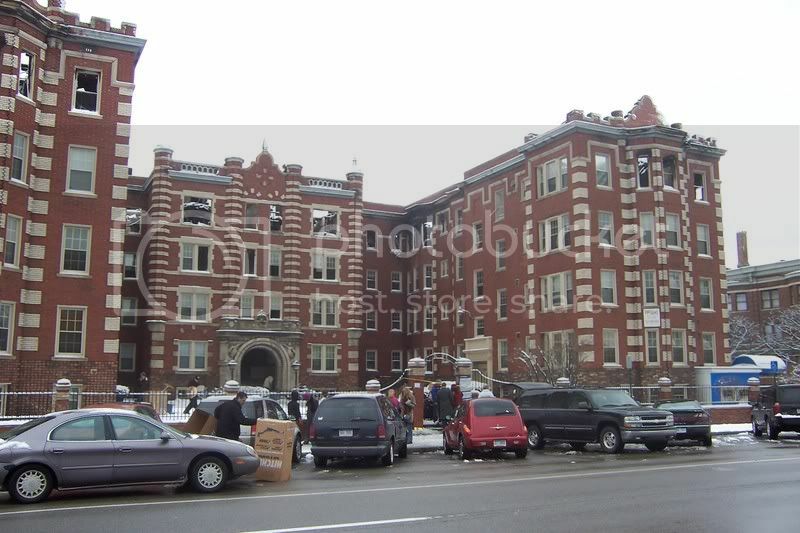 I would think that with the right amount of insurance money and private investment, surely this building can be saved. I think it is the responsibility of the parties involved to at least make an attempt at doing so. Is the roof gone on this building? If not, it doesn't look that bad. If it is, then I understand why it would be so hard to salvage. Yes, the roof is completely gone. That building is beautiful and would be a real loss for Detroit. 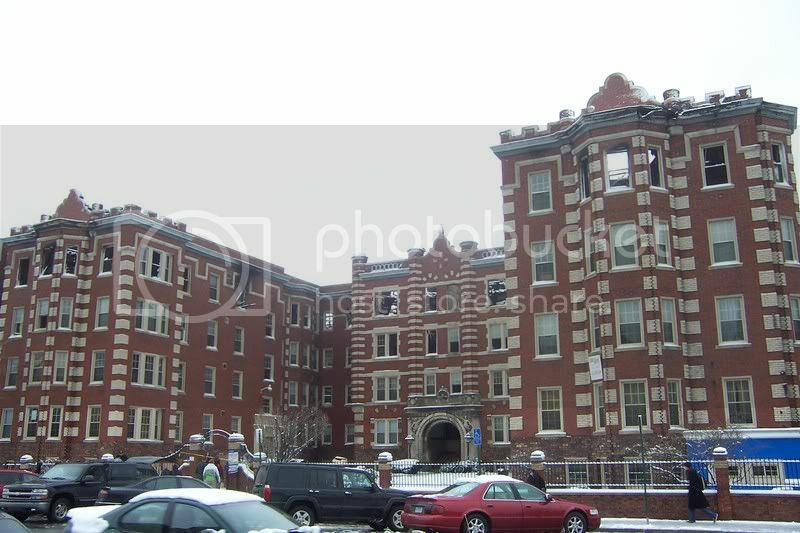 That kinda a large courtyard apartment building is very rare in Detroit (hell in all Michigan cities). That form of building is really one of the best ways to get good density without a very imposing building. As to the fire - with it burning the entire 3rd flr and not really touching (as far as the photos here show) the lower floors, one would certainly suspect arson. 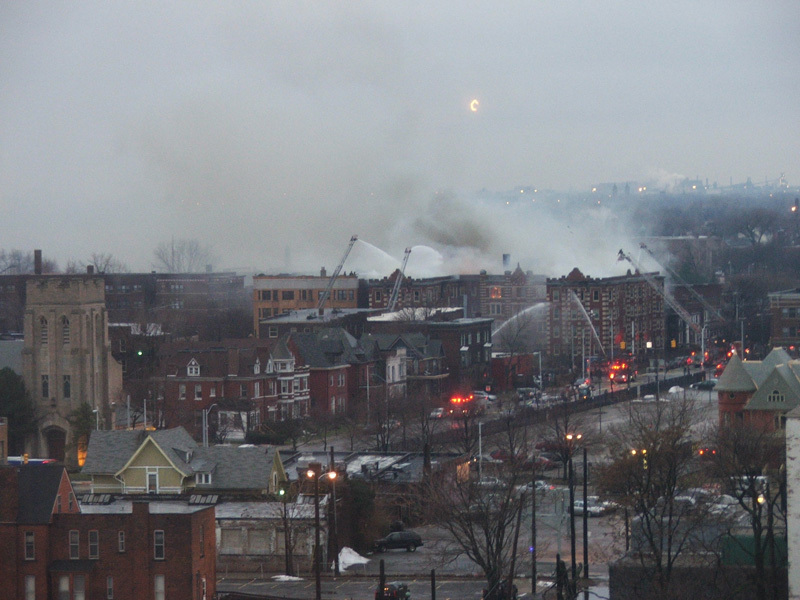 The fire could have to have burned for awhile to laterally spread to just the 3rd flr like it appears. This suggests that several fires (one is each "section" of the 3rd flr) were set. Plus, this is a classic pattern for insurance scam arson. The arsonist burns on a vacant upper level to allow the people on lower levels time and "easy" escape. Suspicions should definiately be aroused. I'm finally getting around to posting my pictures. The sunny ones from the ground are from Saturday February 23, 2008. A courtyard apt building was mowed down in Ann Arbor too. Quite disappointing. You're right though. There is way too few of these in Michigan to lose another one.